The Garden of the Virgin Mary. 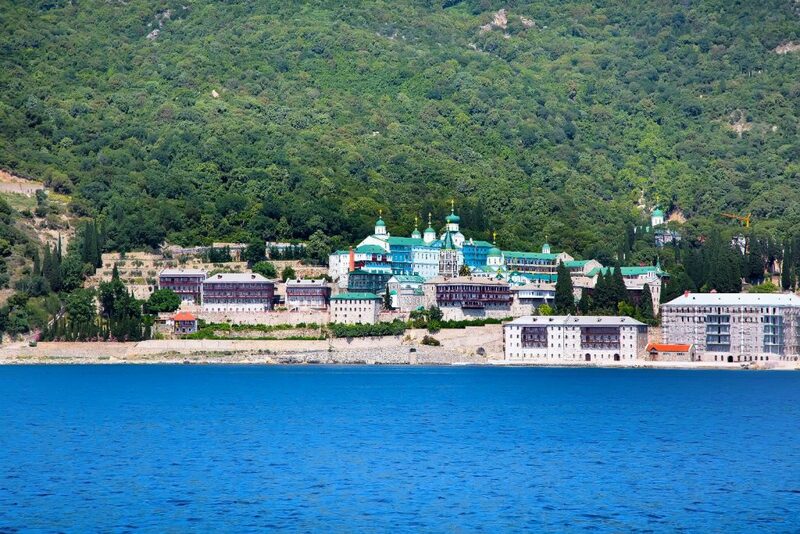 Mount Athos is the second-most important religious place of pilgrimage after Jerusalem. Hosting 20 monasteries and the gate is the port of Ouranoupolis. Our cruises to Mount Athos departs from Ouranoupolis twice a day with the “Captain Fotis” boat of 300 seats. Daily from the 1st of April until the 31st of October and at 10:30 and 14:00. The afternoon cruise to Mount Athos is available from the 15th of May until the 15th of October. The duration of the cruise to Mount Athos is three hours.